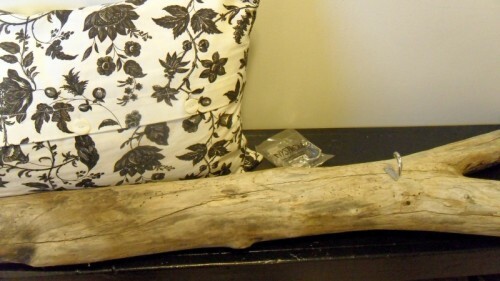 Driftwood is easy to find if you live somewhere near a beach so DIY projects with it are usually quite cheap. 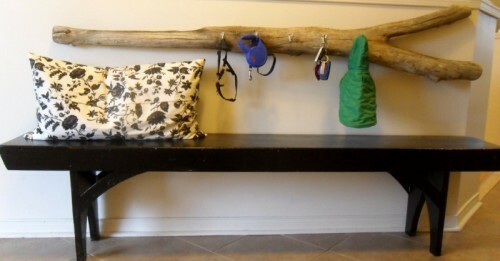 Only with one piece of old water logged wood you can done really amazing things. 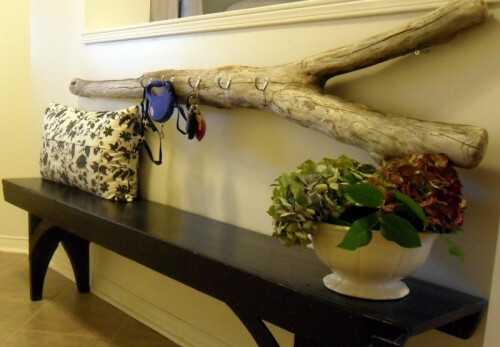 For example, you can make a key holder for your hallway. 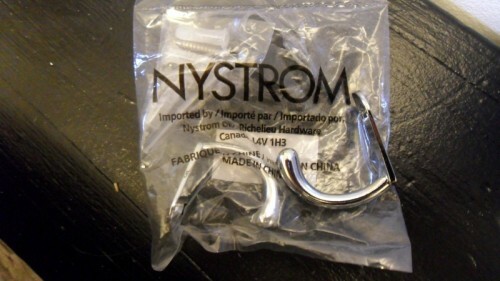 You just need several hooks you can got from a lot of different stores, a drill and screws. 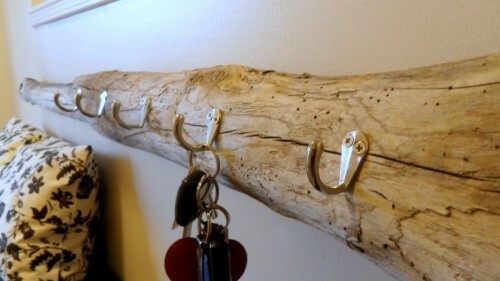 Drill holes in your driftwood piece to accomodate all hooks you want. 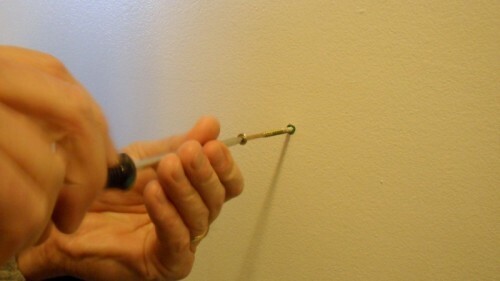 Fix these hooks using screws that come with them. After that your key holder is pretty much ready. You just need to hung it up on your wall. A few screws with plugs will be enough for that. 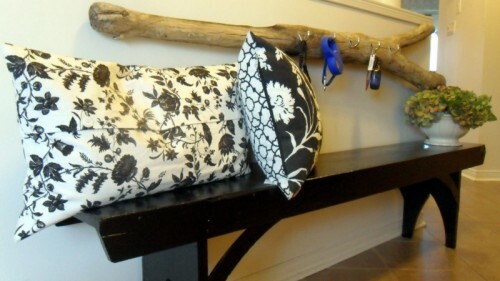 Now you can hang your keys, leaches and other things you take with yourself on the street. 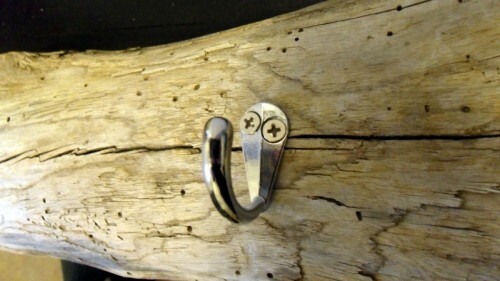 By the way, you can use this key holder as a coat rack too. Besides, if you spray paint it it will looks even more amazing.